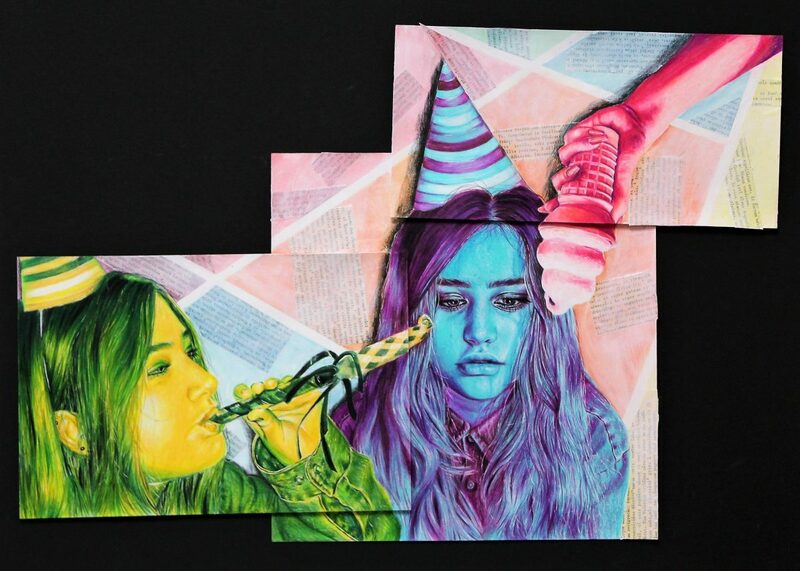 Six students who received a Gold Key or Silver Key in the 2019 Scholastic Art & Writing Awards were selected by the Glassell Junior School to receive a summer scholarship. The Awards are the largest, most prestigious awards program in the country for creative teens in grades 7-12. Harris County Department of Education is the regional affiliate for the Awards. Glassell summer camp art classes include a choice of drawing, painting, ceramics, fashion, digital and other art genres. The weeklong camps run from June-early August. The Glassell Junior School of Art is the teaching wing of the Museum of Fine Arts, Houston. Glassell has supported the HCDE regional Scholastic Art & Writing Awards for many years by sponsoring the scholarships and hosting art receptions. Glassell Junior School faculty judged the art selections this year and awarded the scholarships. “A distinguishing feature of the Glassell School is ready access to the museum’s encyclopedia collection of incredible works of art,” said Pam Perez, Glassell Junior School administrative dean. For more information about Glassell, go to https://www.mfah.org/visit/glassell-junior-school/. Visit http://www.hcde-texas.org/scholastic-awards for information about entering, judging or sponsoring Scholastic Art & Writing at HCDE.